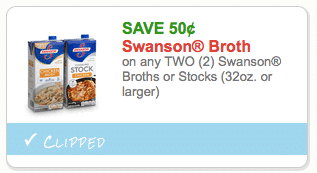 A new Swanson broth coupon has been released and it can be used on their organic varieties! You can print two copies per device (including mobile). 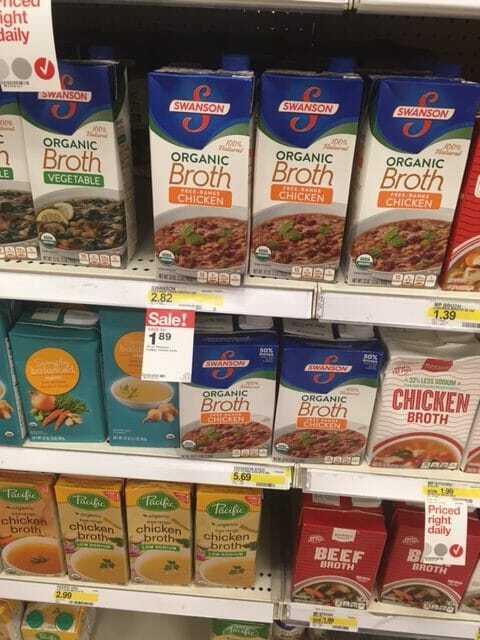 Target often has Swanson organic broth on sale for $1.89, so $1.64 after coupon! So, print the coupon now so you have it handy for a sale.